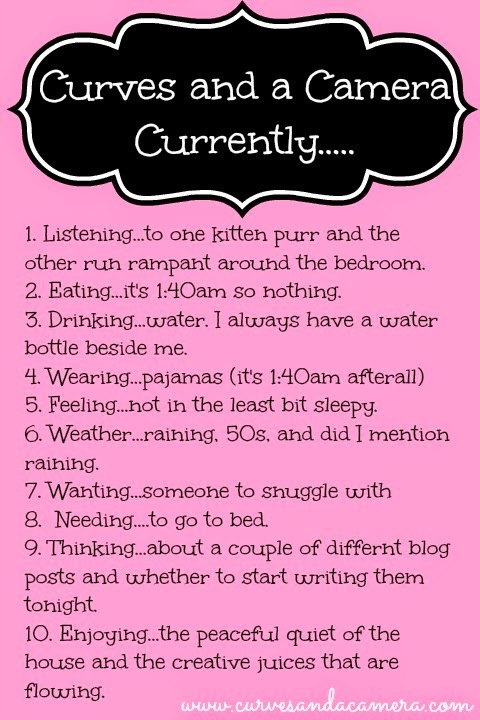 I while back I pinned this blogging idea around posting what you are currently doing/drinking/wearing/feeling, etc. I've toyed with the idea of creating my own, something for readers to get a personal inside into my life, feel they know me beyond just recipes and complaining my dating life (or lack thereof depending on the day). So here it is. 1:45AM on a Saturday...sleep doesn't appear to be coming to me anytime soon so why not! ?